Despite stormy weather and the prospect of five hours of driving to Wangaratta and back on a Wednesday, your intrepid editor wanted to be on the spot for the launch of the program for the 25th Wangaratta Festival of Jazz and Blues. Fairly low-key for such a substantial milestone, the launch was held for the first time this year at the Wangaratta Performing Arts Centre (WPAC) with a good turnout of locals involved in the festival, a complimentary glass of bubbles for all comers and birthday balloons festooning the space. Your intrepid editor | thanks to Pamela for the pic! Festival Board member Frank Davidson was our host for the evening. After briefly listing apologies from various board members we moved on to thanks to festival sponsors, board members and community supporters. A brief speech by Artistic Director Adrian Jackson, with highlights of the program, and pointing us all to the website. While there was definitely warmth, excitement and a positive vibe in the room, there was not much fanfare for the festival’s significant 25 year milestone. One apology for the evening was Board chairman Paul Squires. Deputy Chair Emma Jones stood in for Squires and shared excerpts from a speech delivered by Beverly Wittig in the festival’s first year. “We are at the beginning of a journey. It will take years to develop this as the best jazz festival in Australia. Before we can finish the journey we must take the first step.” This speech from a quarter century ago talked about how important the people – the Wangaratta community – are to the festival and the festival is to the community. Emma noted that the festival is still about local people and the community as much as it is about presenting a great program of music. This point was validated by CEO of the Rural City of Wangaratta Brendan McGrath and GOTAFE CEO Paul Culpan who spoke on behalf of sponsors GOTAFE and Charles Sturt University. Some musical entertainment by talented young locals, a glass of local Shiraz, a few nibblies, some new friends and hellos to a number of acquaintances. Back on the road, braving trucks, rain and wind. Looking forward to making the trip again on Friday 31 October for my favourite long weekend of the year. Across the four days and nights of the pre-Melbourne Cup Day long weekend – Friday 31 October to Monday 3 November, the city will jump to the sounds of jazz and blues, from more than 300 musicians in over 80 concerts on the main program, and over 30 concerts on the Main Street free stages; as well as artist talks and masterclasses, all in venues in walking distance within the township and at nearby wineries. The program features a line-up of international jazz and blues artists from the USA, Italy and New Zealand performing alongside the cream of Australia’s best musicians, in fearless improvisations, Australian debut performances, premiere collaborations, and a welcome return of some of the great artists who have performed in the past two and a half decades. International jazz artists include 6-time Grammy Award winning drummer Jeff ‘Tain’ Watts (USA) performing with his band which includes New York-based Australian saxophonist Troy Roberts; composer/trumpeter Laura Watts (USA) who released her debut album as a leader in 2011 and has written/composed music for many notable artists including Wynton and Branford Marsalis, Jeff ‘Tain’ Watts and Orrin Evans; one of the giants of European jazz, trumpet/flugelhorn maestro Enrico Rava (ITALY) and New York-based saxophonist Lisa Parrot (AUS/USA) returning to the Festival two decades since she placed second runner up in the National Jazz Awards (Saxophone) in 1994. Spoke’s (USA) dramatic musical storytelling and infectious grooves have seen the quartet performing at major festivals and venues in Europe, Asia and North America. Roger Manins, past winner of the 2002 National Jazz Awards (saxophone), is now established as one of New Zealand’s leading jazz artists and will make a welcome return to Wangaratta with his distinctive-sounding band Hip Flask. Artistic director Adrian Jackson said, “25 years is a landmark that no-one would have been willing to bet on back when the Festival began as a relatively modest but ambitious event in 1990. The fact that we have made it this far is due to the incredible support the Festival has received from the local community, and the way it has been embraced so enthusiastically by musicians and music lovers from around Australia and overseas. “We have a strong component of international artists coming this year, like Enrico Rava, Jeff ‘Tain’ Watts and Joe Louis Walker. Among them are several expatriate Australians like Lisa Parrott, Harper, Troy Roberts and Sarah McKenzie. I think this Festival is the perfect place for them to showcase how they have grown as artists in their time overseas. The Australian Art Orchestra will perform Struttin’ With Some Barbecue, an inventive re-imagining of the legacy of Louis Armstrong. Paul Grabowsky and Steve Grant will both perform solo piano concerts in the Holy Trinity Cathedral; guitarists James Muller and Stephen Magnusson will make a rare collaboration in a quartet format, which is bound to be a Festival highlight. The program also features a strong lineup of jazz vocalists including Emma Pask, whose performances on The Voice Australia Season 2 garnered her a new audience. Fem Belling will lead her Quintet and contribute to the African jazz sounds of Royal Swazi Spa, led by her father Howard Belling and the charismatic Hetty Kate will perform songs from her recent hit CD, Dim All The Lights. 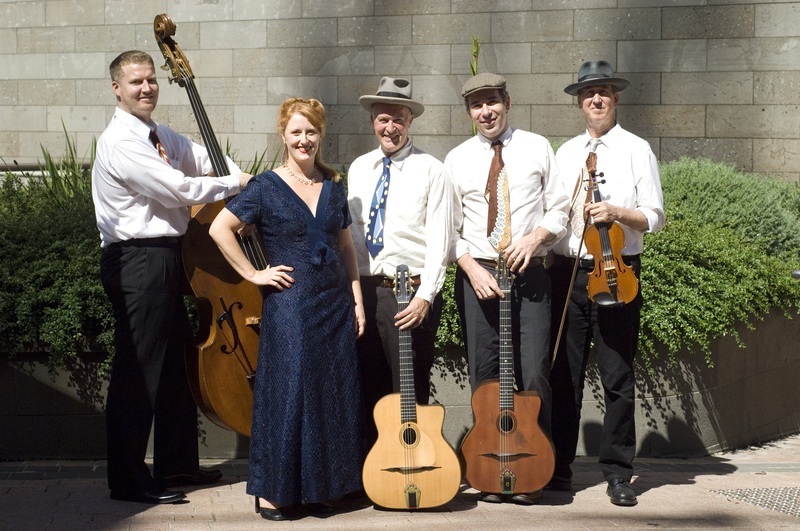 Now based in New York, Sarah McKenzie will return to Wangaratta as part of a tour to promote her forthcoming third CD and Julie O’Hara will perform with the gypsy swing-inspired combo, Ultrafox. The blues program will be headlined by Blues Hall of Famer Joe Louis Walker (USA), one of the hottest guitarist-singers in the business; and trailblazing singer/songwriter, and virtuoso harmonica and didgeridoo player Harper, who has won widespread acclaim since relocating from Australia to the USA a decade ago. Harper will be touring with his Detroit-based band. They will be joined by a strong lineup of Australian blues acts including Sydney’s Bondi Cigars who recently celebrated their 25-year milestone; 2014 Chain Award winners for Best New Talent, Blue Eyes Cry; guitar aces Ray Beadle and Darren Jack leading their own bands, then teaming up as All The Kings Men, a celebration of the 4 Kings – B.B. King, Freddie King, Earl King and Albert King. Plus Fiona Boyes, Nick Charles and Doc Span, and many more. The National Jazz Awards feature guitarists this year and an increased prize pool. The top ten finalists will compete at the Festival, with the finals starting at 5.00pm on Sunday 2 November (broadcast live to air on ABC Classic FM). Renowned Sydney-based jazz pianist Mike Nock will again serve as Chairman of the judging panel and will be joined by two outstanding guitarists, James Muller and Stephen Magnusson, co-winners of the Awards in 2000. Celebrating outstanding young talent, the competition is open to musicians of any nationality up to the age of 35 and the winner will receive a $12,000 grand prize, the chance to record for ABC Classic FM’s Jazztrack with Mal Stanleyand an invitation to perform at the 2015 Stonnington Jazz Festival. The runner-up will receive $6,000 and a recording session at Pughouse studios and the third placegetter will receive $3,000. Each year the competition focuses on a different instrument, and the competition has become an indicator of some of Australia’s finest upcoming talent.